The Caracal name is a throwback from the 1980’s and 90’s hot rod version (17’) that dominated performance on the 1990’s Top 100 Tour. The heritage of the name is what we preserve in this shorter big body hull, drawing a new base to the Bass Cat name. The floor plan has received accolades from most viewings. Changes include the net scabbard in the port deck, the tool rail and Golden Rule slot, tandem (2) aft storages, with port and left center boxes. The day use box has been returned up front like the early 1990’s Caracal II model. 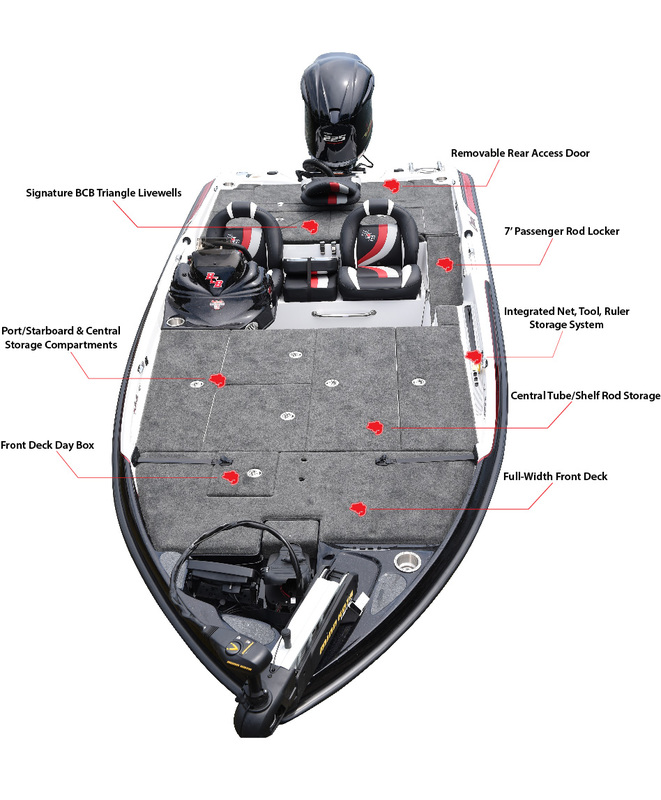 The rear deck has triangular wells, large starboard storage, port power pole access, and drop in storage. Cup holders for your favorite partner(s) have been placed on the back deck. 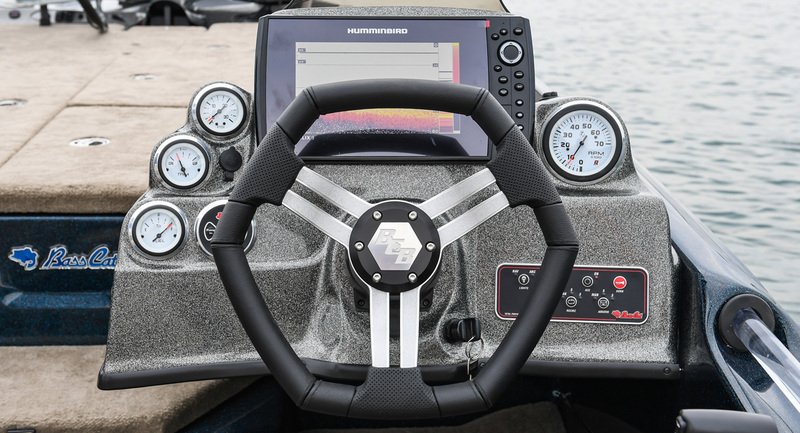 New fuel configuration options have been added for 2016 to fit your range, layout, and performance needs. 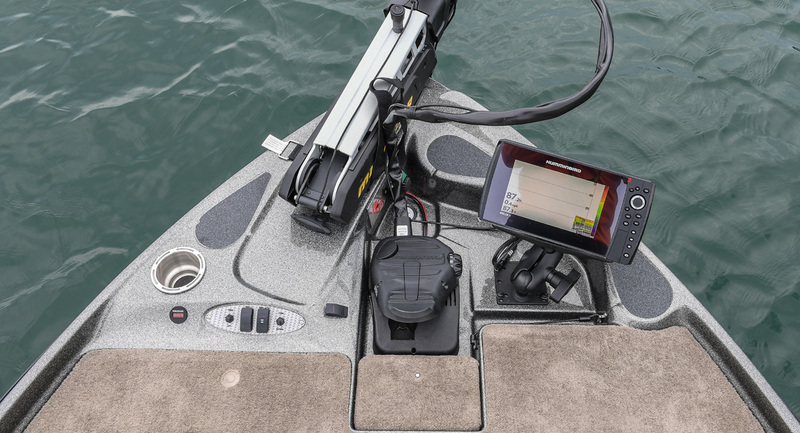 The optional dual rear 26 gal tanks open up seat and step storage along the bench. This model probably won’t grasp its predecessors performance; however, it will turn heads with its deeper hull and broad deck. Caracal, a cat brought back for a new breed of anglers!